So heartbreaking. Someone should coerce the answers from the Smiths, by any means necessary. I believe we will have to wait for discovery to find out for sure, where this phone was located when found. Orlando police and Orange County deputies are among those searching fields and woods for Parker. Law enforcement officers are using All-Terrain Vehicles to search for clues in the case. Today marks the start of the fourth week with no sign of the missing woman. 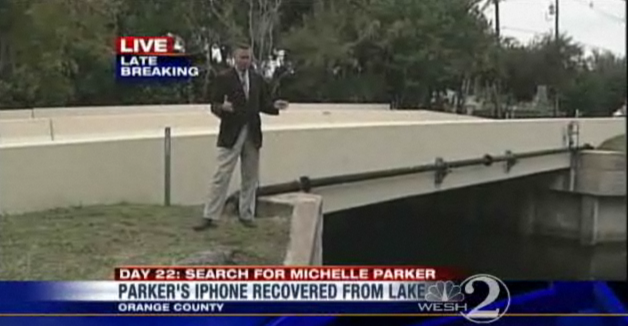 Orlando detectives are making strides in the case, however, due to the recent discovery of Parker's iPhone, which was found near a bridge between Lake Conway and Little Lake Conway near Belle Isle. Forensic investigators are now scouring the phone for clues that may lead to her whereabouts. I wonder if this came from info. from her phone? That's what I thought, too...but if that's the case, then why did Bob Kealing tell you on his Twitter that the correct bridge is actually throne on Nela Ave? The important thing is that her phone was found. One of the reasons people are latching onto this discrepancy in bridges is bc it's been stated that a dive team found the phone. The water under Nela is deeper than Hoffner. For the sake of not going nuts over something mundane, I sure wish the media would get it together & report the factual one, ya know? BBM Now it's NEAR A BRIDGE????? Chopper 2 flying over scene of new search for #MichelleParker. Dive teams preparing to enter creek near OBT and Sand Lake. Does anyone still have the choppercam link? BBM Where did you get this information? If you go to this link http://www.orlandosentinel.com/news/local/breakingnews/os-michelle-parker-missing-orlando-20111209,0,5665822.story iPhone's discovery devastates mother to the video on the lower right side, it shows the water along the bank of the Nela Ave. Bridge. Doesn't look deep along the bank to me, although with crystal clear water, it's hard to tell. This is the link we used when they searched the retention pond. Nothing is going on now, tho. 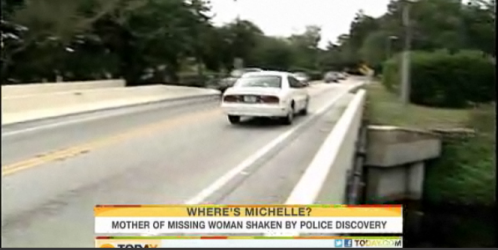 Divers in the water again today looking for clues in the disappearance of #missingmom #Michelleparker. Near where phone was found. Thank you. I just noticed that was chopper 6, who does chopper 2? Michelle Parker case: When did the crime occur? OCSD dive team fixing to search canal behind our house. This is just so confusing. 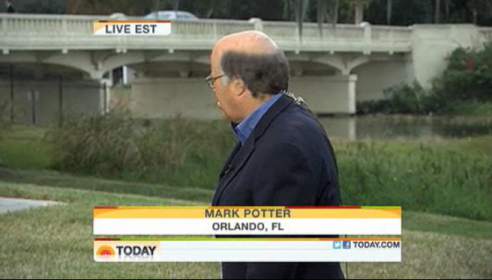 The Today Show shows both bridges, the Nela Ave bridge and the Hoffner bridge. It shows the Hoffner bridge when saying that police sources say to Bob Kealing the phone was found under the Nela Ave bridge. On WESH's site, in the video report, Bob Kealing says the phone was found "here" where he is standing at the Hoffner bridge. I guess everyone is hedging their guesses by showing both bridges until we know for sure. Friday morning, agencies converged on a canal about halfway between Lake Ellenor and Lake Conway, both of which have played roles in the investigation thus far. Chopper 2 spotted a dive team Friday morning entering the canal, which backs up to residential property. Page created in 10.224 seconds with 20 queries.